Size Stream (USA) is focused on 3D color body scanning, 4D scanning and all related applications requiring high performance, high automation and cost effective solutions. Size Stream products are widely used for research, size prediction and custom fit specification of clothing, body measurement for health and fitness applications and color 3D printing applications. Styku (USA) is an innovative 3D body scanner that captures a person's true shape, renders an exact 3D model of that shape and extracts hundreds of precise body measurements within seconds using the world's most powerful 3D camera. Styku's digital technology has been proven to increase ROI in a range of industries including fitness, wellness, and fashion. A truly unique and effective way to extract body data. Canfield Scientific (USA / The Netherlands) is the leading developer of photographic imaging solutions for the medical and skin care industries. Product lines include Mirror imaging software, VISIA Complexion Analysis, VECTRA 3D Systems, Reveal facial imagers, VEOS dermatoscopes, IntelliStudio photographic studio and imaging systems for clinical photography. ViALUX (Germany) 3D Scanners make 3D scanning as easy as taking a photograph. The medical grade systems provide both short measuring time and high precision. The mode of operation can be adapted to the measuring task with high flexibility. Applications are wide-spread in e.g. health care, body shape tracking and clothing. Human Solutions (Germany) is a world market leader for body scanning and ergonomics simulation. Systems from Human Solutions are used by more than 300 companies worldwide. 3D body scanning by Human Solutions offers highly accurate method of measurement and allows the integration of size & fit data into various processes at the same time. With 20 years of experience in the field of body scanning, VITRONIC (Germany) is among the pioneers of fast, automatic 3D measuring of the human body. VITUS body scanners are used around the world for customized clothing, standardization, ergonomics, orthopedics, sports medicine, and printing of 3D figurines. 3dMD (USA/UK), a proven leader in 3D high-precision anatomical scanning, will be demonstrating workflow efficiencies with its latest temporal-3D (4D) capture systems. 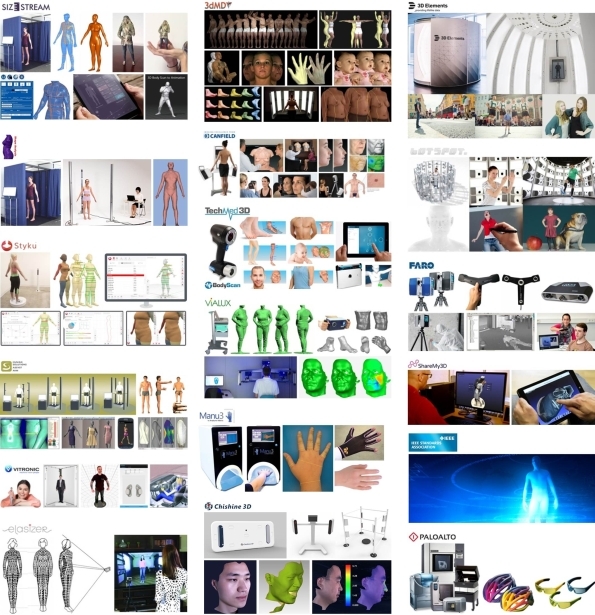 3dMD sequences of high-quality motion images of the full body, head, foot, and/or hand help promote and advance the creation of new wearable technologies that precisely adapt to a person's shape and enhance performance. Xi'an Chishine Optoelectronics Technology (China) is an high-tech company focusing on 3D scanners, which has developed, with ultra-fast 3D scanning technology, fast body scanners and industrial 3D sensors. Chishine 3D scanners are widely used in the fields of medical plastic surgery, scientific experiments, industrial inspection and others. botspot (Germany) produces and develops lighning-fast scanning-technology. The botscan 3D full body scanner generates pin-sharp scans and depicts even the tiniest details in the shortest time of less than 1/100th of a second. The modular construction of the scanner allows its adaption to any size, need and application. Elasizer (Russia) offers an easy 3D body scanning technology based on a special elastic measuring suit - A compromise between expensive measuring rigs and low cost methods. This solution allows new ways to make a tailor and a customer closer to each other. 3D Elements (Austria) builds Dagubert, a fully automated and self-operated 3D photo studio. Due to its latest IR projection technology and its scalable system, it creates the best 3D data quality. Dagubert can be used by anyone anywhere, at events, festival or outdoor. The integrated info screen and a sound system explain the process to the customer. The electronic payment system completes the self-service concept of Dagubert. ShareMy3D (Norway) is a cloud-based solution for sharing 3D files of all sizes and formats. It has 2 main advantages: it can handle very large file sizes with its revolutionary compression algorithm and it does not require a plugin or program download, only an internet browser. This enables users to quickly and securely share their 3D models with anyone from anywhere. Anatomi Metrix (Canada) is focused on the development of technologies, devices and protocols dedicated to the anatomical measurements and evaluation of conditions of the human hand. Manu3 is a touch-less portable desktop device to measure the dimensions of the hand and fingers in terms of lengths and circumferences. TechMed 3D (Canada) is specialized in body measurement technologies and digital imaging solutions adapted to the orthotics, prosthetics and custom equipment market. 3D surface imaging devices and application software will be demonstrated at the exhibition. The IEEE-SA (USA) is a leading consensus building organization that nurtures, develops and advances global technologies. IEEE standards drive the functionality, capabilities and interoperability of a wide range of products and services that transform the way people live, work and communicate, including IEEE's Industry Connections program on 3D Body Processing. Shape Analysis (UK) is the European distributor for Size Stream and Space Vision scanners and the worldwide exclusive distributor for CAESAR survey data. Services of Shape Analysis have been used for the national sizing surveys SizeUK & SizeGB and for many other companies involved in fashion, health, fitness, sportswear, medical applications. Palo Alto (Switzerland) gives back to companies their TIME, by freeing them from repetitive and non-productive activities through innovative solutions. Palo Alto offers businesses specialized consulting and optimizes their document management and production processes favoring immediate profitability. Palo Alto is official Stratasys resellers of the FDM and PolyJet 3D printers. The following companies and organizations are sponsoring the conference. FARO's product line-up offers a variety of cutting-edge 3D measurement solutions, including measuring arms, laser trackers, 3D laser scanners, 3D hand-held scanners, 3D imagers and software solutions. FARO serves over 20 different industries and a wide range of applications, including 3D body scanning. Hometrica Consulting - Dr. Nicola D'Apuzzo (Switzerland) is organizing the series of 3DBST conferences and exhibitions. Hometrica Consulting is a leading international consulting firm in the sectors of 3D human body scanning technologies. INVEST IN TICINO is a territorial marketing initiative of Canton Ticino (Switzerland) which, through its Economic Promotion Office, intents to increase the international stature of Canton Ticino, raise awareness on Ticino's investment opportunities, promote corporate investment and establishment. Exhibitors will announce/present world premieres at the conference and exhibition. Size Stream (USA), 3dMD (UK/USA), botspot (Germany), ViALUX (Germany), Anatomi Metrix (Canada), Human Solutions (Germany), Chishine 3D (China), IEEE-SA (USA) will announce, launch, present, demonstrate at the conference and exhibition for the first time internationally new developments, new products, new solutions, new results. Size Stream will exhibit its new SS20 3D body scanning system with groundbreaking features, including the smallest ever footprint for a full body booth scanner (1.1 x 1.4 meters), 3D scan acquisition in 0.2 seconds, 20 sensors for total full body coverage, color data with higher resolution and higher quality. Size Stream will also announce its new Size Stream iOS Body Measurement App for 2017. 3dMD will present for the first time at the exhibition various new products and solutions. At the opening session, Chris Lane, CEO of 3dMD, will introduce for the first time the 3dMDvexillarius Project: "Taking Temporal 3D Full Body Imaging into the field". botspot will present at the conference and exhibition its new 3D full body scanner OPTAone equipped with intelligent sensors with tilt-and-zoom technology - unique in the world. ViALUX will present for the first time internationally at the exhibition its new solution BodyLux: Medical Body Measures for Quality Compression Hosiery. 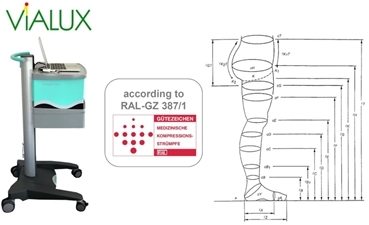 Anatomi Metrix will present Manu3 Hand Measuring System, which captures anatomical dimensions of the hand in 30 Milliseconds and whose capabilities and functionalities apply to both the world of healthcare and fashion. The Human Solutions will showcase various products and solutions at the large booth shared with Vitronic. At the opening session, Anton Preiss, Director of the Business Unit Mobility at Human Solutions, will shortly introduce their innovations. 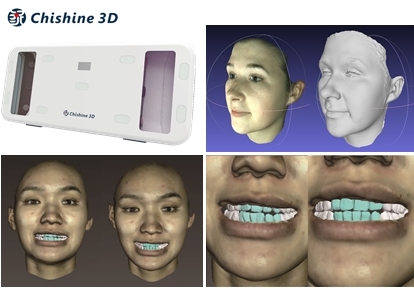 Chishine 3D will present the use of 3D DSD (Digital Smile Design) in conjunction with facial scans obtained by Chishine3D BodyGo 3D face scanner. 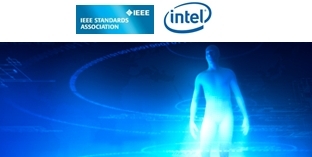 IEEE Standards Associations and Intel will introduce the IEEE Standards Association Initiative for Accelerating Immersive Shopping Experiences by Harnessing Cutting Edge Research & Innovation for 3D Body Processing Technologies. The conference with its parallel exhibition is the world leading technical platform dedicated to the specific fields of 3D human body scanning technologies, 3D human body measurement methods and applications. Private companies, research/educational institutions or individuals are welcomed to participate at the technical exhibition or to become sponsors of the conference. Raise awareness of your products and services through direct access to professionals active in the specific sector of 3D body scanning. Three different packages are available for sponsors and/or exhibitors: GOLD, SILVER, BRONZE. The three levels and benefits are described in the following document: 3dbst2016_exsp.pdf. For registering as exhibitor and/or sponsor at the conference please download the sponsor/exhibitor registration form: 3dbody2016_exsp_form.doc. Please send the filled form by e-mail to the conference office: info@3dbodyscanning.org. Note: anti-spam filters installed on our mail server are sometimes rejecting legitimate e-mails. it means that we have not received your communication, the anti-spam filter has blocked it. In such cases, please use our alternative e-mail address: hometrica@gmail.com. Call for sponsors and exhibitors: callforexhibitors (PDF, 1.4MB). Call for registrations: callforregistrations (PDF, 2.0MB). Profile of the conference and exhibition: profile (PDF, 1.4MB).